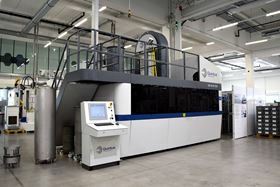 Metal forming specialist Quintus Technologies has supplied a hot isostatic press (HIP) to an Austrian manufacturer of engine and drivetrain components. The QIH48 press will be installed in Pankl Racing Systems’ new additive manufacturing competence center located in Kapfenberg alongside the company’s heat treatment facilities for HIP post treatment of AM parts for car and aviation customers. The center forms part of an initiative of Pankl in collaboration with Voestalpine/Böhler Edelstahl, EOS and Quintus Technologies. The press is equipped with Quintus’ patented uniform rapid cooling (URC) and uniform rapid quenching (URQ) technologies for production and combined HIP and heat treatment.